News File Photo The gymnastics room has been a popular addition to the APlex of Alpena. 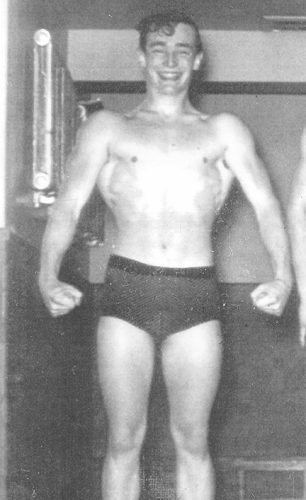 Once upon a time, the gym inside the APlex could be rented out for different leagues and activities, but the facility has since transition to strictly a gymnastics room. ALPENA — Over the years, cities such as Traverse City, Petoskey and Gaylord have grown, and with that growth has come more possibilities for athletes. 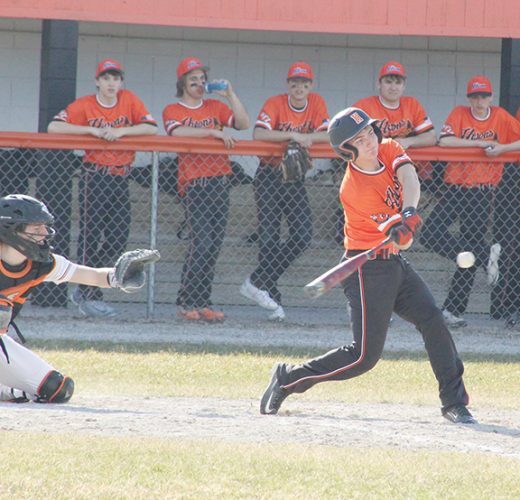 Alpena has plenty to offer the local community and its athletes, but, over time, the town has lost just as much — if not more — than it has gained over the past decade. Alpena certainly has athletic facilities for sports and personal training, including The Bay Athletic Club, Northern Lights Arena, The APlex, The Huron Shores Complex and school facilities at Alpena High School and Alpena Community College. But, while other northern Michigan cities have experienced an increase of open doors, Alpena has been at a slight standstill, and several businesses offering athletic opportunities have closed in recent years. The Alpena Health and Racquet Club has been closed for nearly six years, the old ACC gym at East Campus is no longer used, and some of the opportunities athletes once had are no longer available or are more difficult to access. Courtesy Photo The Alpena High School weight room is located beneath the gymnasium. This recent photo shows improvements made to the aging facility as head football coach Aaron Sims has made it his mission to create a better place for Alpena High athletes to train. It is important for the community to keep growing and expanding in order to keep our athletes around and maintain a competitive culture, area sports leaders said. 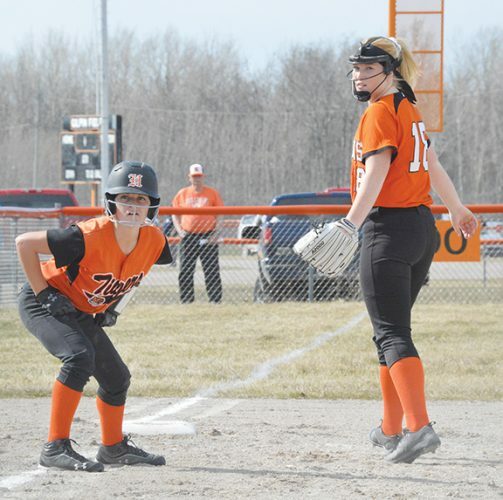 If an athlete in Alpena has any aspirations of pursuing a sport, whether at the high school or collegiate levels, Alpena must continue to grow and create opportunities for athletes to further future athletic success. With some of the facilities in Alpena, athletes wanting to train have to take the good with the bad. The APlex has been renovated over time, but is used mainly for tennis and gymnastics, while hosting banquets, weddings and other formal events. The APlex also has a weight room, where community members can purchase a membership to use the newly renovated facility. Courtesy Photo Pictured is the Traverse City Central High School weight room. The spacious facility is located in the school and filled with equipment that provides athletes a safe and healthy place to train. The APlex has always been a jewel for local tennis players, as there are four regulation-sized tennis courts available indoors that can be used year round. The APlex also has a gym, but what once used to house open basketball time and basketball leagues, batting cages, and a chance to rent out space for different athletic activities, is now home to the Alpena Gymnastics program. Those changes have helped the APlex financially, but have also limited opportunities for those interested in other sports. That may change in the future, however, as there are ongoing discussions to improve and open up more possibilities for athletes and the community. Alpena has plenty to offer when it comes to exercising and allowing athletes to stay active with facilities scattered throughout town. From The Bay Athletic Club, APlex, The Performance Locker and Zen 24 Hour Fitness Center, which is relatively new to the area, Alpena offers plenty of facilities allowing athletes and community members a chance to live a healthy lifestyle. Along with two sheets of ice, at least one of which is available year-round, Northern Lights Arena also offers an indoor track and, throughout the year, has many community members walking and running the track on a daily basis. 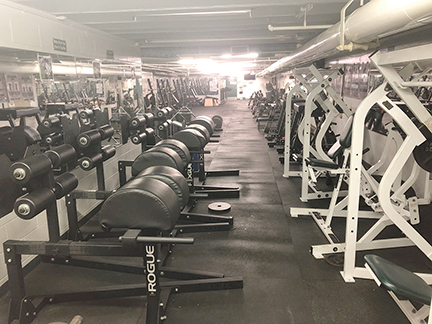 Alpena High School has also made strides in improving its weight room for athletes, thanks to head football coach Aaron Sims. The AHS weight room rests beneath the gymnasium and Sims has done fundraising to get new equipment and create a more spacious workout environment. Sims is open to helping any and all athletes within the school and his availability has been important for young athletes. However, many Alpena High athletes who spend their free time practicing a certain sport are sometimes limited to where they can practice. There are plenty of gyms around town, but accessing those gyms can be like pulling teeth. The high school is not always available and a faculty member must be on-hand while an athlete practices during free time. After hours, the high school is typically locked up. The same goes for all of the other gyms around town. Since AHS Athletic Director Tim Storch took over five years ago, the high school has seen major upgrades, including a brand-new video scoreboard, a new sound system, and new lights for the football stadium. Storch still has plans of upgrading the high school, including having the gymnasium floor redone to feature a separate basketball court and volleyball court, along with having the gym floor repainted and redoing the banners and record boards inside the gym. During times of the year when the weather is nice, there are plenty of facilities around town such as the Huron Shores Complex, McRae Park, and Bay View Park that offer athletes an opportunity to work on their game. But during the winter months, those athletes trying to prep for spring sports continually face obstacles. For baseball and softball, which most schools around the area carry, getting gym time can be challenging, and there is only so much practicing and drills that can be done inside of a gym. That’s not so in other northern Michigan communities. Traverse City, for example, recently opened up The Grit Shop, an indoor baseball and softball training facility featuring four batting/pitching cages and a regulation-sized infield. 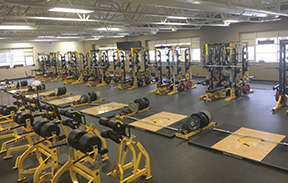 That allows players to practice at any time throughout the year and is beneficial during the harsh winter months in Michigan, not to mention Traverse City Central High School has a weight room that can compete with a handful of small colleges around the state. The Grit Shop has a simple pole barn structure with turf inside. Facilities featured in Traverse City cost money, but the unique facilities are something that is very beneficial to the community and allows more opportunity for athletes.